As DUI attorneys, we know that additional law enforcement officers will be patrolling Seattle-area streets and highways looking for impaired drivers on Super Bowl Sunday. Historically, Super Bowl Sunday has been a dangerous time on Washington’s streets and highways due to the high number of people driving under the influence (DUI) of alcohol and drugs. Like the Fourth of July and New Year’s Eve, Super Bowl Sunday is one of the biggest drinking days of the year in the United States. In fact, according to Forbes, Super Bowl fans will guzzle 325 million gallons of beer on Super Bowl Sunday, or more than a gallon for every man, woman, and child in the nation. For a number of years now, more than half of the traffic deaths in Washington State on Super Bowl Sundays have been attributable to intoxicated drivers. For this year’s Super Bowl, as part of the state’s “Target Zero” agenda, extra patrols will be on the roads in King, Pierce, and Snohomish counties, with additional support from the Washington Traffic Safety Commission. Target Zero is the state’s strategic long-term highway safety plan, and it calls for reducing highway deaths in this state to zero by the year 2030. The Target Zero patrols were first rolled out in King, Pierce, and Snohomish counties in 2010, and it’s estimated that the original two-year project saved more than a hundred lives. In 2012, the Washington Legislature fully funded the Target Zero teams to continue their work in King, Pierce, and Snohomish counties, and in 2013, Target Zero expanded to include Yakima and Spokane counties. The Seattle Police will also put extra officers on patrol for Super Bowl Sunday, and police agencies across the nation will focus on DUI enforcement with sobriety checkpoints and specially-designated DUI squads. 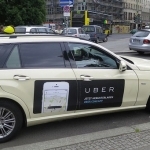 If you have plans to watch the game with friends over a few drinks, be certain to arrange in advance for safe transportation home – a taxi, a limo, a ride service like Uber or Lyft, or a designated driver you can trust. “Watching the Super Bowl and all the commercials is a lot of fun, but when the game is over, fans who have been drinking need to make sure they don’t get behind the wheel,” says Fircrest Police Chief John Cheesman. WHY IS SUPER BOWL SUNDAY DIFFERENT? Your chance of being involved in a traffic crash with an impaired driver on Super Bowl Sunday is nearly double that of a typical Sunday in January or February. Even if you haven’t been drinking, use extra caution while driving. On Super Bowl Sunday there are not only more alcohol-related accidents and injuries but there are also more DUI arrests, so if you’re driving that day, don’t do anything that might attract a police officer’s attention. Don’t toss out wrappers or cigarette butts, and check your lights and windshield wipers before hitting the street or highway on the big day. More drivers will be arrested for DUI on Super Bowl Sunday than on a typical day, so more drivers may also be wrongly arrested and charged. 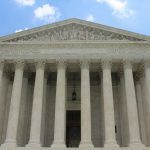 Wherever you are in the United States, if you are arrested for DUI – called driving while intoxicated or DWI in some states – contact a good DUI lawyer immediately, and in the Seattle area or anywhere else in the state of Washington, contact an experienced Seattle DUI defense attorney as quickly as possible. If you are stopped in traffic by a law enforcement officer, pull over quickly but safely, and put plenty of distance between your vehicle and any moving traffic. Turn off the ignition and place your hands atop the steering wheel. Don’t look for your driver’s license and automobile registration until you are asked. Be as polite and friendly as possible, and don’t give the police officer any reason to dislike you. After handing the officer your driver’s license, vehicle registration, and in many states your auto insurance card, you should not answer any of a police officer’s questions. At all times, both before and after an arrest, and whether or not you have been informed of your rights, you have the constitutional right to remain silent. The driving laws in Washington include “implied consent.” What that means is that simply by driving a vehicle on any street or highway in the state, you have in fact already given your consent to submit to a chemical test for the purpose of determining the amount of alcohol in your bloodstream. The law about DUI testing – and the refusal to test – varies from state to state, so to learn more if you live and drive outside the state of Washington, speak with a trustworthy local DUI lawyer. If you refuse to take a blood or breath test for DUI in this state, your driver’s license can be suspended for a year. Even if you submit to the test, a DUI charge means that your license will be automatically suspended – separately from your criminal DUI charge – unless you request a license suspension hearing within twenty days of the arrest. DUI laws in this state can be quite complicated, so let an experienced Seattle DUI defense attorney explain your legal rights and options after a DUI arrest. In many states, sobriety checkpoints are conducted by police agencies to determine if the drivers passing through are too intoxicated to drive. However, Washington’s courts prevent the police from conducting checkpoints in this state on the basis of City of Seattle v. Mesiani, a 1988 case in which the Washington State Supreme Court determined that Seattle’s sobriety checkpoints violated drivers’ rights under the state constitution. If you’re in one of the 38 states where the courts allow checkpoints, be prepared – you can expect to find them in abundance on Super Bowl Sunday. In states like Washington, law enforcement agencies compensate for the absence of sobriety checkpoints simply by putting more patrol officers on the streets. If you are arrested and charged with DUI in the state of Washington, contact an experienced Seattle DUI defense attorney at once. With only twenty days to fight for your driver’s license, you cannot afford to procrastinate. 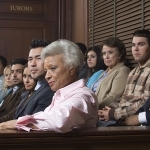 Do not plead guilty and do not attempt to act as your own attorney. Too much is at stake. Pleading guilty to a first DUI offense may seem like the expedient thing to do. Don’t do it. If at all possible, you want to avoid having a DUI conviction on your record, so working with a good DUI defense lawyer is the best way to handle DUI charges. Depending on the details of your case, your DUI lawyer will choose an appropriate defense strategy. Were you stopped without probable cause? Police officers must have a specific reason to pull over a motorist in traffic – a “hunch” isn’t enough. Were your Miranda rights violated? 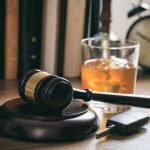 If you weren’t read your rights, or if you requested an attorney and that request was ignored or delayed, your DUI charge potentially could be dismissed on that basis. Was your DUI test properly administered? Strict rules and protocols govern both breathalyzer testing and blood tests. Any deviation from those rules could invalidate the test and cause a judge to toss it out. Are there witnesses who can testify in your defense. Your DUI attorney will want to question those witnesses. If you are arrested for DUI, act promptly and contact an experienced DUI attorney at once. Do not assume that you will be go to jail or that your situation is hopeless. A trustworthy DUI attorney will thoroughly examine the details of the charge against you, represent you at all of your court appearances and at your driver’s license suspension hearing, and negotiate with the prosecutor on your behalf. It’s also imperative to find and retain a lawyer you like and trust, because you’ll be working together for at least a few weeks on something that’s critically important – your future and your freedom. HOW CAN YOU AVOID DUI TROUBLE? Be careful on Super Bowl Sunday. It’s a dangerous day to drive, and nothing is more important than your life and the lives of your loved ones. If you are arrested and charged with DUI – on Super Bowl Sunday or on any other day of the year, contact a good DUI lawyer at once, and in the greater Seattle area, contact an experienced Seattle DUI defense attorney as quickly as possible. Help is here for those in DUI trouble, but you must take the first step and make the call.